MEBAA, however, sought to promote the strength of the business aviation sector in the region and its prospects for growth going forward. Returning to its now familiar home at Dubai World Central (DWC), it hosted some 452 exhibitors along with a static park of 34 aircraft, over half of which were making their debuts. It is estimated that the Middle East accounts for up to 70% of the global wide body business jet market, so it was no surprise that OEMs chose to tailor their displays accordingly. The static park featured examples of both the BBJ 787 and Airbus A340-500, while Boeing used the show to announce the launch of its new BBJ 777X, which is promoted as the world’s longest-range business jet. 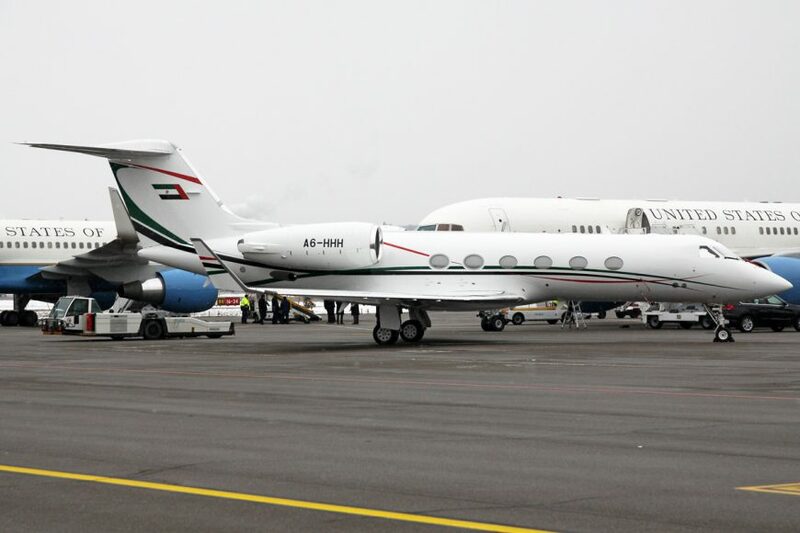 Gulfstream brought the new generation G500 and G600 for their MEBAA debuts, while its flagship G650ER set a new city pair record to get to the show – covering the trip from Teterboro NJ to Dubai in just 11hrs 2mins. Dassault brought its Falcon 8X, Embraer the Lineage 1000E and Sukhoi the VIP version of the SuperJet SSJ100. The MEBAA Conference Dubai 2018, held over the last two days of the show, brought together some 200 industry delegates and, for the first time, was integrated with the main show on the exhibition floor. Sessions covered a diverse range of technical and more esoteric discussions – from the future of private aircraft design, aspects of cyber security, bizaviation finance and in-flight connectivity, to the use of blockchain technology in corporate aviation and climate change.